The 90’s are coming back with a bang! 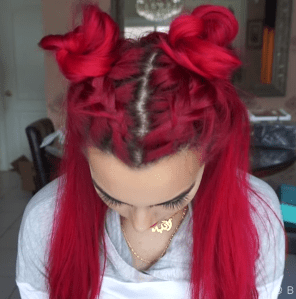 The double bun is making its debut into the modern age and everybody is loving it. You can either do something neat or “clean” or you can do two messy top knots. Both are beautiful in there own ways and occasions. I personally like the messy top knot style better. It shows a more edgy side of you and it shows that you can have fun. The perfect neat double bun shows off your inner kid, which is great if you are going for the underage look. Double buns are also perfect for hot summer days when you want your hair completely off your neck as fast as humanely possible. It appeared that the double bun trend was slowly dying out, but in fact it was just lying dormant like a beautiful volcano waiting to erupt. Coachella 2016 has seen the rise of double buns yet again. Most notably, Kendall Jenner’s double buns have taken the fashion world by storm, with Katy Perry’s cute pink buns not far behind. We can only hope that Harry Styles will be the next celeb to join this new hair trend! 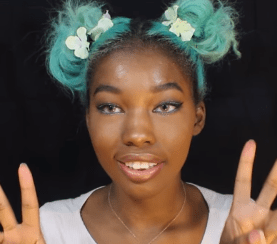 According to Tokyo Fashion, the creators of a double bun tutorial, “One of the most popular odango hairstyles in Harajuku (and with kawaii fashion fans throughout Japan) is the double buns style. In addition to being popular on the street, the double buns hairstyle is seen frequently in Japanese anime and manga (Sailor Moon anyone? ).” This is a weird look. However it is undoubtedly cute for anybody bold enough to try it. Take a look at a few of these double buns. This double knot bun features two buns braided back with the rest of her hair down. 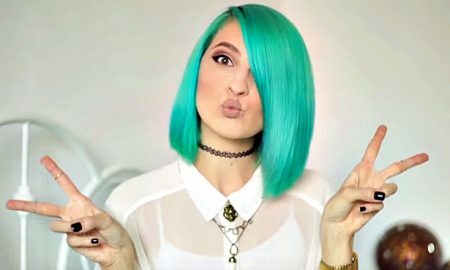 You can do this hairstyle with beautiful edgy colors like vibrant pink or red, even blue! Anything can fly. Notice the braids are not perfect, but this was done on purpose. The topknot has its perks. It’s easy and surprisingly flattering if you get the placement right, creating cheekbones on even the most chubby-cheeked among us. 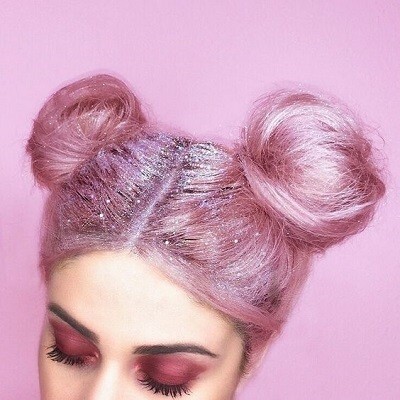 These space buns are totally hot right now. It is easily achieved by parting your hair down the middle and twisting your hair into cute little cones. Being that it is so retro, you can pull this hairstyle off with a tank top and a matching bomber jacket. This is a more fun look. All you need is flowers, bobby pins, and two elastics. These are different from the space buns because of the way it is shaped. It is more tire shaped than cone shaped. You can pretty up your double buns with some faux flowers for a feminine, floral look that’s sublime for spring and summer. 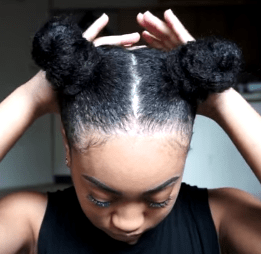 If you are tired of your common ponytail and bun styles, this is the way to go. You can upgrade your daily do with the iconic 90’s double bun. If you want to add cuteness and funkiness to your look take a chance and go for it!